Should employers still test for marijuana? Ohio’s medical marijuana program is set to be fully operational by September 2018. 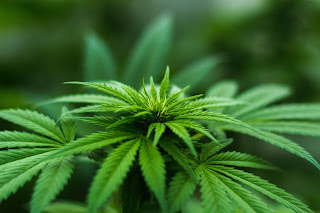 Ohio will join 28 other states, and the District of Columbia, in which doctors can legally prescribe marijuana to treat certain medical conditions. Ohio’s medical marijuana law does not require that employers accommodate employees’ lawful use of medical marijuana. It also permits employers still to maintain drug testing policies, drug-free workplace policies, and zero-tolerance drug policies. Yet, with the lawful use of marijuana spreading, employers are asking if it still makes sense to test for it as part of pre-employment drug screenings. Other than the fact the fact that employers have historically included marijuana in their drug testing panels, why do employers test for this substance? It’s likely not because of its danger. After all, we don’t pre-employment test for alcohol, yet it is more dangerous than marijuana (see WebMD, CNN, The Washington Post, CBS News, and Business Insurance, for example). So, employers, let me ask you—are you pre-employment testing for marijuana, and, if so, are you considering dropping it from your drug testing panel? Share you thoughts in the comments below.